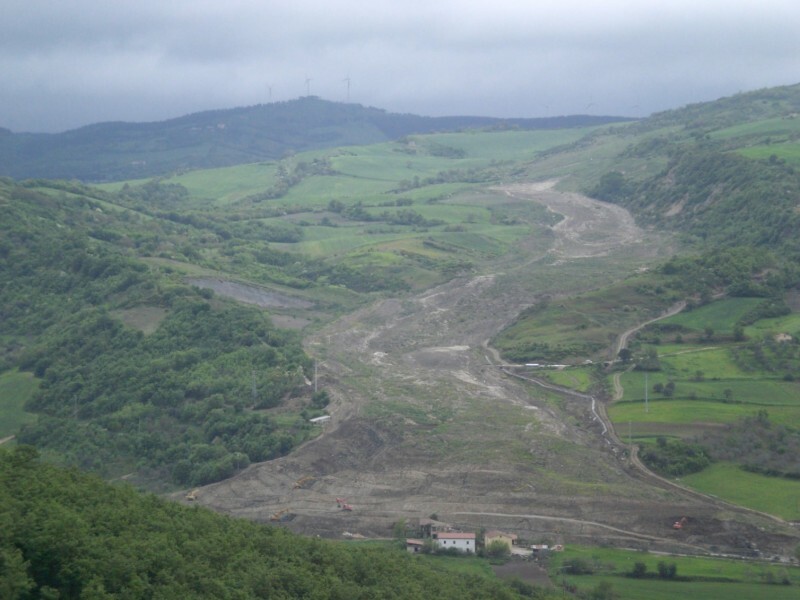 Monitoring, analysis and interpretation of the Montaguto Landslide. The earthflow damaged the SP90 provincial road and covered approximately 300 m of the national railroad that connects Naples to Foggia. The traffic along the railroad and the road was interrupted for about three months causing severe problems for the residents, the local economy, and the national railway system. The consequences extended throughout southern and central Italy. 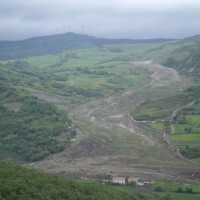 The Italian national Civil Protection Department led a large-scale effort to mitigate the effects of the moving landslide, re-open the railway, and re-construct the provincial road. 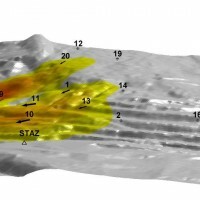 The Geohazards Monitoring Group (GMG), on behalf of the CNR IRPI, worked to study the landslide’s evolution employing a monitoring system in near-real-time and performing a comparative analysis of a set of DTMs available from 2006. 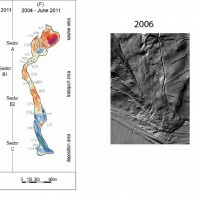 The availability of LIDAR survey, a GBInSAR system (managed by the University of Florence) and three robotic total stations (managed directly by CNR IRPI – GMG) has allowed the reconstruction of the recent evolution and the identification the cause-effect relationship between precipitation and reactivations of the phenomenon. The activities have enabled a thorough characterization of the landslide and to increase the knowledge on the phenomenon. The obtained results have also allowed improving the quality of designs by increasing the price/performance.